Sitting and standing for prolonged periods of time in the workplace has become a well-debated subject. 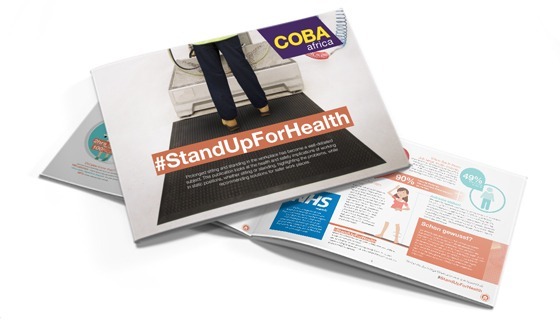 For COBA’s #StandUpForHealth campaign, we will be looking at the differences sitting and standing in work environments can have on the body and our health. This post will be exploring the problems sitting for long periods of time can cause. It appears that inactivity (sedentary lifestyles) could be a silent killer and that is why we are being urged to stand more, both at home and in the workplace. Prolonged sitting has now been dubbed ‘the new smoking’. What problems can prolonged sitting cause? Recent research suggests that prolonged sitting is now linked to serious health risks, such as Type 2 diabetes, heart disease, cancer and even premature death. This even applies to people who are fit and exercise regularly. Following extensive research, it is now believed that prolonged sitting may slow the metabolism, affecting our body’s ability to regulate blood sugar, blood pressure, as well as its efficiency in breaking down body fat. 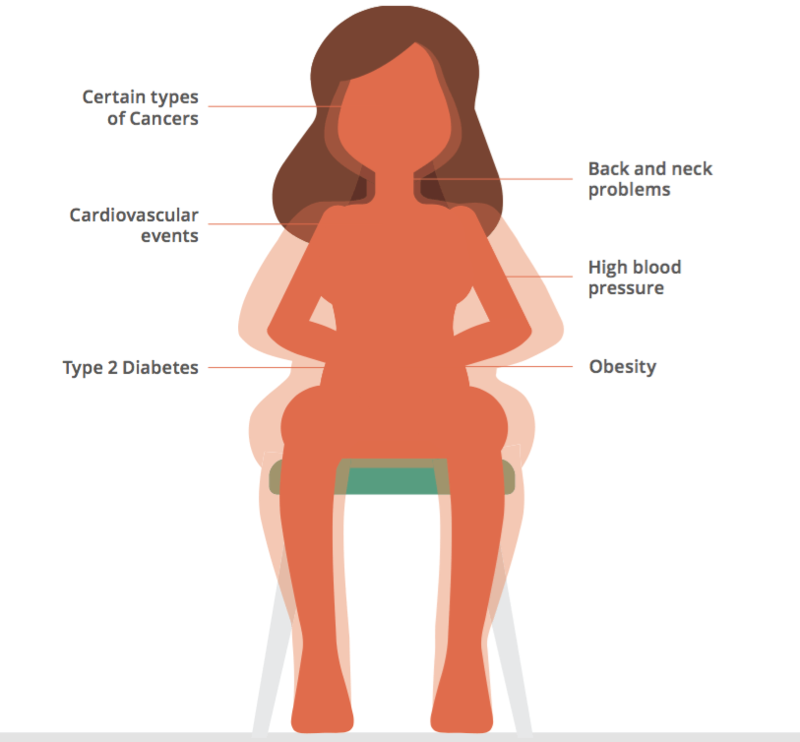 Too much sitting can lead to increased fat around the abdomen (visceral fat) which is fat that surrounds our internal organs including the liver, pancreas, and intestines. Visceral fat can be harmful and is linked to many different health problems. Sitting for too long can also lead to weaker muscles and bones, as well as neck, lower back, and joint pain. Sitting compresses vertebrae, putting pressure on discs. Blood accumulates in our legs, increasing the risk of blood clots. It is also believed that prolonged sitting (and general inactivity) can affect mental health too, increasing the risk of depression and anxiety. 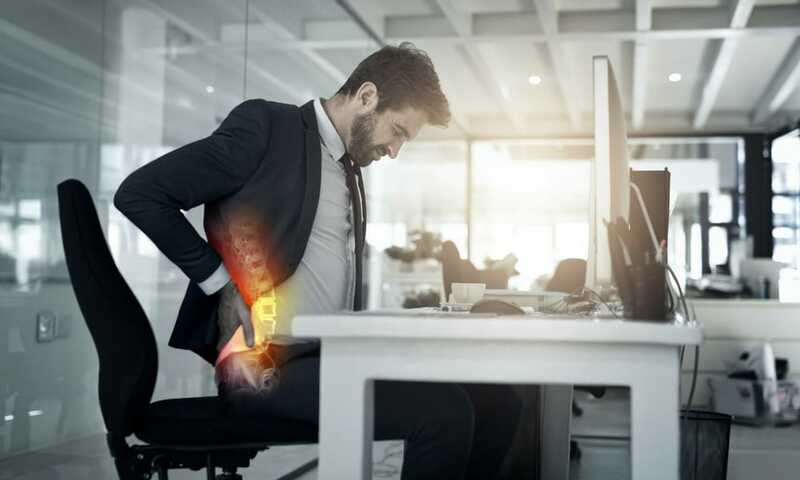 For those with jobs that involve prolonged sitting, it is recommended that you get up and move around every 30 minutes, possibly standing while on the telephone or in meetings. Set a timer if it helps. Standing boosts metabolism which helps to burn calories. It also tones and improves muscles, helps posture and circulation. Breaking up sitting, with even a few minutes standing and moving around, is considered to be beneficial for our health. It is believed that the average adult may spend 50-60% in a sedentary state (either sitting or lying down). Sedentary behaviour has been defined by some as sitting for 4+ hours a day. 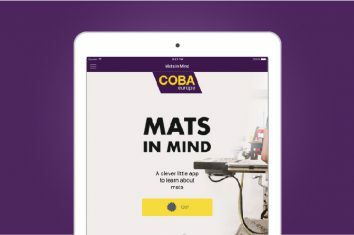 For further information, download our free eBook, which further explains the risks of prolonged sitting and offers tips on how to sit in a safer, healthier way. Our next post will explain the science of standing and what standing for prolonged periods of time can do to the body and mind.